"Alessandro Marangoni must be considered the foremost expert in this music ... he certainly plays well throughout and one admires his honesty in not making this music out to be more dramatic or emotionally vital than it really is." "... played by the hyperactive pianist and orchestra with such scintillating abandon, the composer's charm and brio could, just possibly, bring a smile to even the most crusty and conservative listener ... excellently recorded, this is very much a record for those with a sweet tooth who like the lighter things of life." 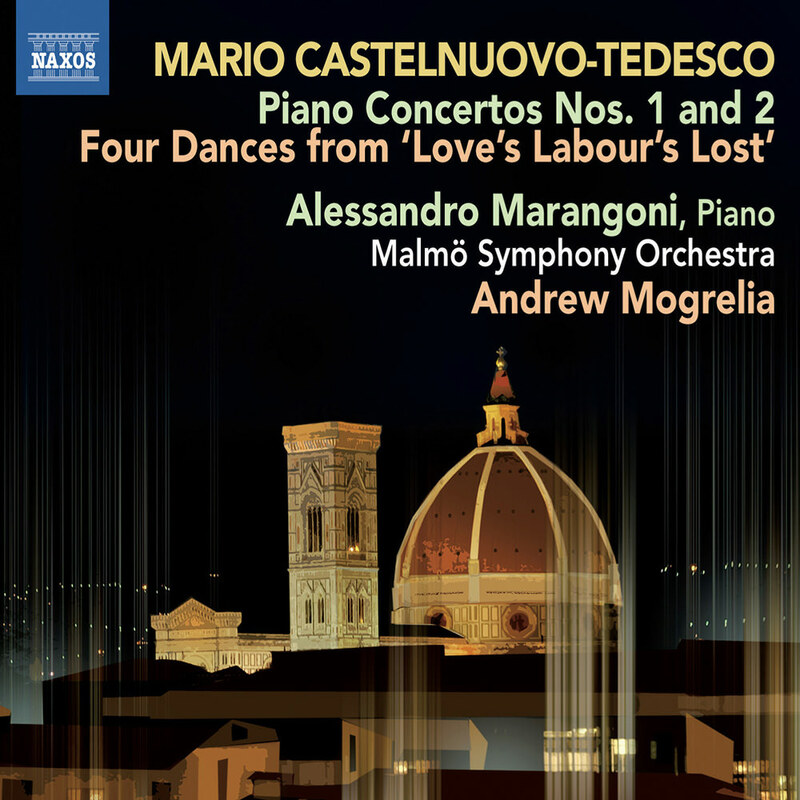 Pianist Alessandro Marangoni takes the spotlight on this ICMA-nominated recording of two contrasting concertos by Mario Castelnuovo-Tedesco. Concerto No. 1, written in 1927, is a vivid and witty example of romantic spirit, exquisite melodies and rich yet transparent orchestration. Concerto No. 2, composed a decade later, is a darker, more dramatic and virtuosic work. The deeply-felt and dreamlike slow movement and passionate finale are tinged with bleak moments of sombre agitation, suggestive of unfolding world events that led Castelnuovo-Tedesco to seek exile in the US in 1939. The album also includes the world premiere of the atmospheric Four Dances, representing the composer’s recurring fascination for the art of Shakespeare.